The founder of a new political party has insisted she will not run it "without Nigel Farage". Catherine Blaiklock has filed an application to register The Brexit Party, which is currently being reviewed by the Electoral Commission. Speaking to talkRADIO's Eamonn Holmes, Ms Blaiklock said her "single purpose party" would be designed to "force some sense on the other parties". "We're not going to be a big complicated party, we're basically a single purpose party to achieve that and to hope that we can force some sense on the other parties," she said. "We want to get out of the European Union and take control of our borders, and respect our democracy." 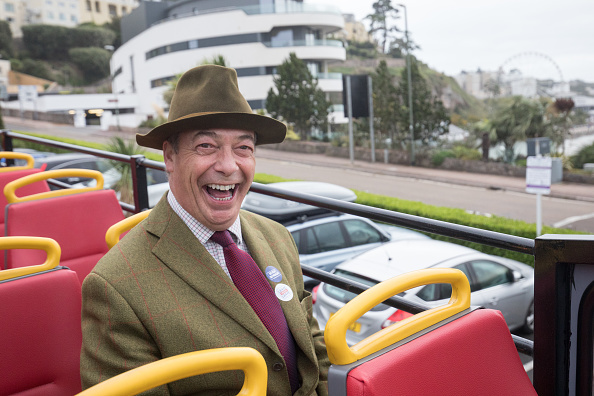 Former UKIP leader Nigel Farage has endorsed the pro-Brexit party, and Ms Blaiklock said she was more than happy to have him at the helm of her new political venture. "I won't run it without Nigel [Farage], I'm a nobody and I haven't got any ego to say that I am an anybody," she told Holmes. "I'm happy to facilitate Nigel and do the donkey work and work for him, but I don't have any allusions as to myself."